For some reason today I decided to go to Holloway Road car boot sale. 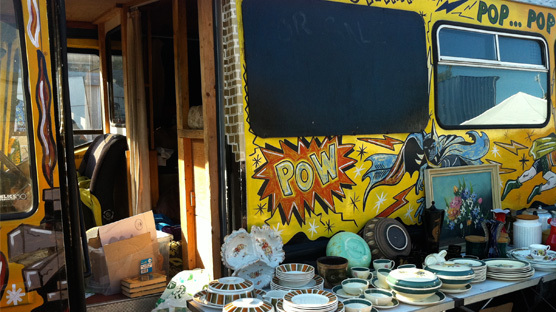 It was hideously busy and more dodgy goods market than having-a-clearout car boot sale. 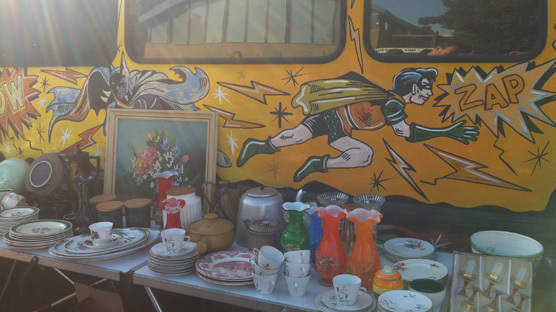 My four bus round trip would have been a total disaster had it not been for this pop-tastic Batman and Robin painted school bus overflowing with a stellar selection of mid century crockery, glassware, wall hangings and annuals. 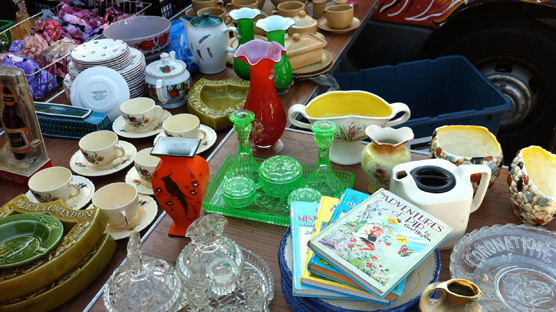 A table heaving with lovely bits of crockery, glassware & annuals. The guy running the show was really knowledgeable about his collection and I was about to ask him if he was a regular and where else did he sell and so on… when a girl tried to steal something. It all seriously kicked off. Where were the crime fighting duo when you needed them?